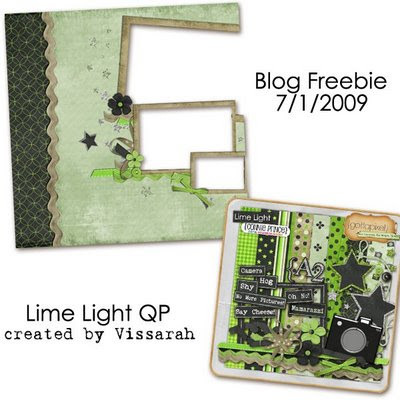 Connie Prince Digital Scrapbooking News: Wednesday Freebie! The middle of the week is always a good thing, but even more so when you know there is a long weekend just ahead! I'm looking forward to a weekend with family, food, & fireworks! I've had nothing but internet problems since Saturday so I totally forgot to pick a winner on Monday when we were actually online! Comcast is due out today for the 2nd time to hopefully fix us up! I picked a winner this morning for the $5 coupon & Bethany is the winner (from post 4th of July Free Stuff Event thread)! Bethany email me at connie.prince08 AT gmail.com and I'll get your coupon to you! Here is the freebie for today! Thank you so much for this Freebie. I want to let you know that I posted a link to your blog in Creative Busy Hands Scrapbook Freebies Search List, under the Quick Page(s) post on Jul. 01, 2009. Thanks again.